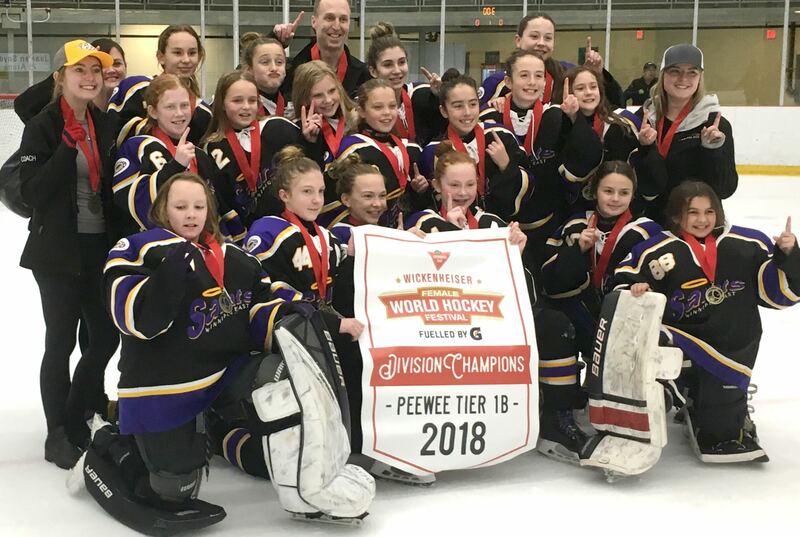 The Winnipeg East Female Hockey (WEFH) council is responsible for organizing, promoting and advancing the female minor ice hockey program in St. Boniface and Transcona and is home to both the Stars and Saints hockey teams from ages 5 through 17. A huge thank-you to Tournament Chair Tara Wallis and unofficial Co-Chair Deidra Curtis and all of the other commitee members and volunteers for running an exceptionally well organized and fun weekend celebrating female hockey! 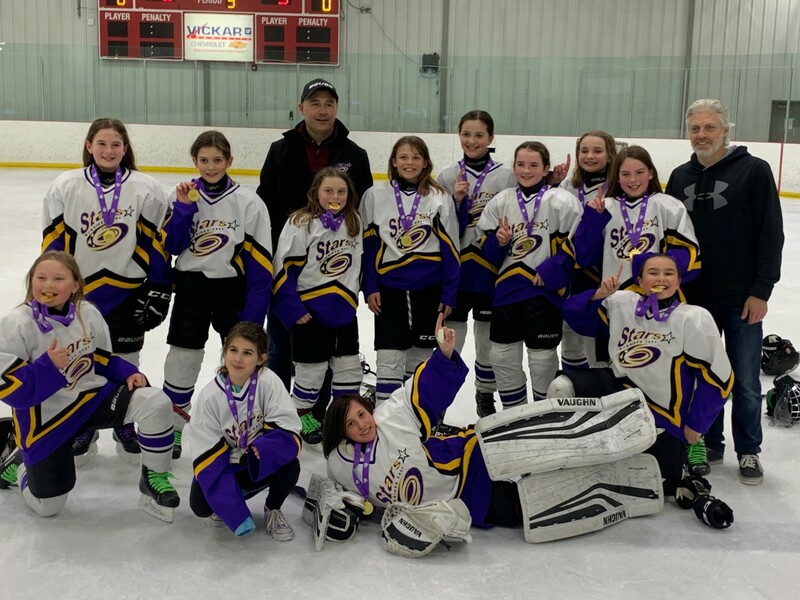 Atom A1 Purple Wins Stars Cup Gold! Congratulations to the Saints and Regina Rebels for two hard fought games on Sunday. Rebels won the early match in the final round robin game 4-3. In the gold medal game, the score was tied 2-2 after the Saints poured 40 shots onto the Rebel's goalie. The Saints came out victorious in a shootout 2-1. Congratulations to both teams on their efforts this weekend at the 2018 Wickfest Tournament. A very special thank you to the Saints for representing Manitoba, Winnipeg, WEFH, and their fellow female hockey players with grace, hard work, class and good sportsmanship all weekend. Hockey Winnipeg will be having centralized tryouts for the Female Midget AA teams. These tryouts will be held the week of September 21st, after the Winnipeg High School showcase tournament. There will be 4 teams at Female Midget AA: Twins, Vics, Titans, and Predators. Saints will not be hosting this year due to ice availability being uncertain at this time. Players will be evaluated and assigned to the team closest to their area association. Teams will be formed with the best players available, trying to ensure that we have the four most competitive teams. Registrations will be done through the home area associations. Players need to be registered for Female Midget hockey through SBMHA or TMHA before they will be allowed to skate in tryouts. Players will be attending 3 nights of drills and scrimmages. Players will be advised of their ice times the week before tryouts. Cost of 1st round is $75. First Round Registraion for Midget AA Tryouts is online -> REGISTER NOW! There may be releases after the first three skates. An email will be sent to all players after the first skates indicating if they have moved on to the exhibition games. The second round of tryouts will be 3 exhibition games. There will be an additional cost for those moving on which will be collected by Hockey Winnipeg.